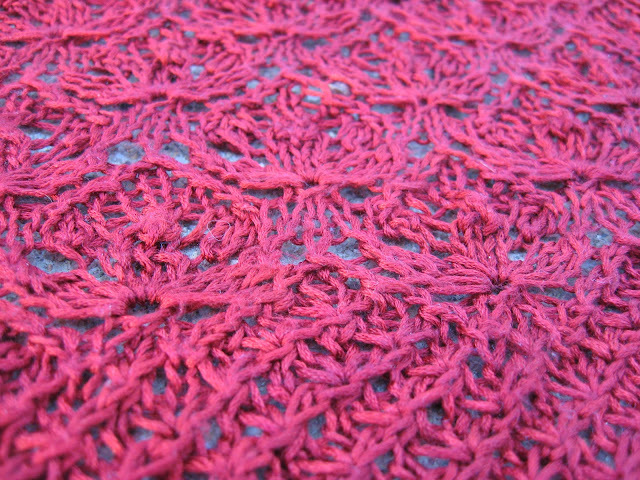 When the Bohus yarn arrived Wednesday, I did not catch Bohus Fever. I didn't even photograph it. It is sitting by my computer. I sent a thank you message to the person who sent it. 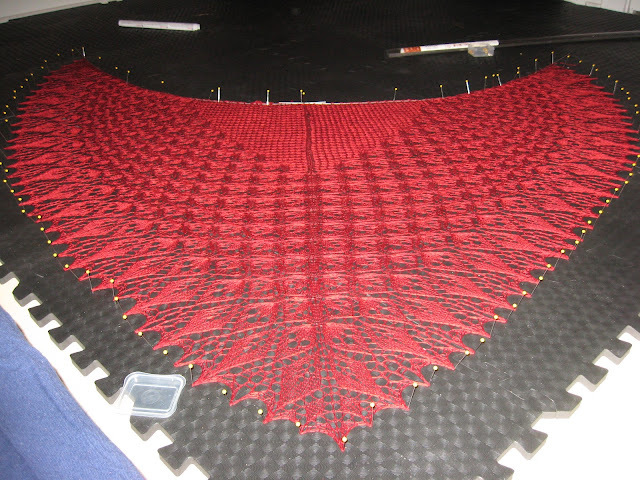 What I did do was make a run at finishing the shawl. It was the closest project to completion. I like setting myself up for success. I went on a road trip, so there was plenty of time to knit. 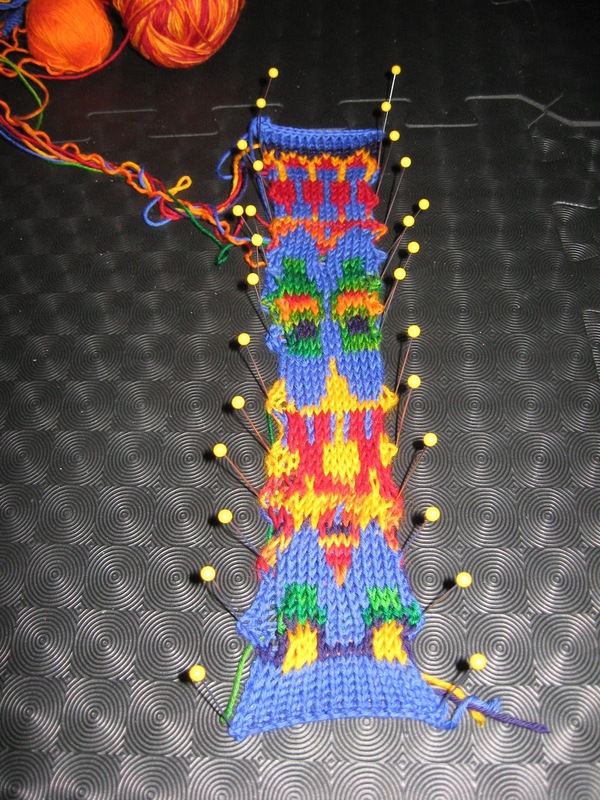 I ran into trouble on the bind off. It calls for a purl bindoff with 2 strands, but I ran out slightly more than halfway through. As I was tinking back I decided that a.) 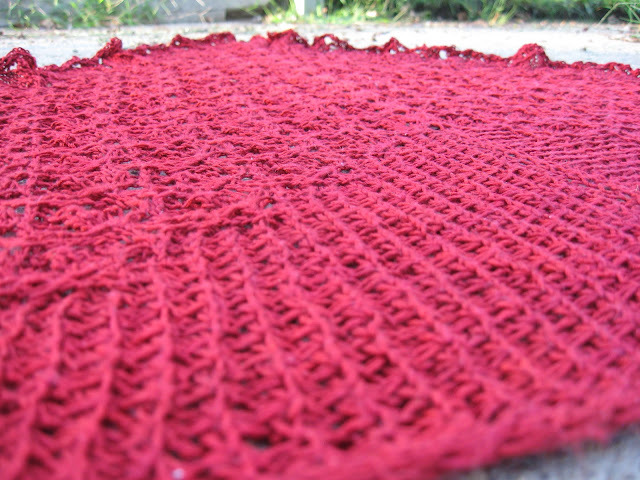 I would need to rip more than 1 row to get enough yarn to finish, and b.) 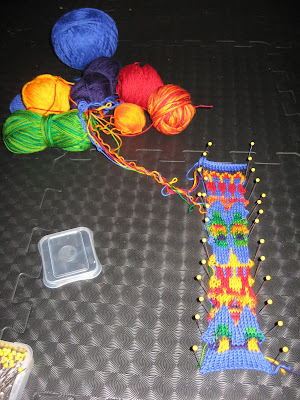 I knew I would have enough if I held the yarn single stranded instead of double. 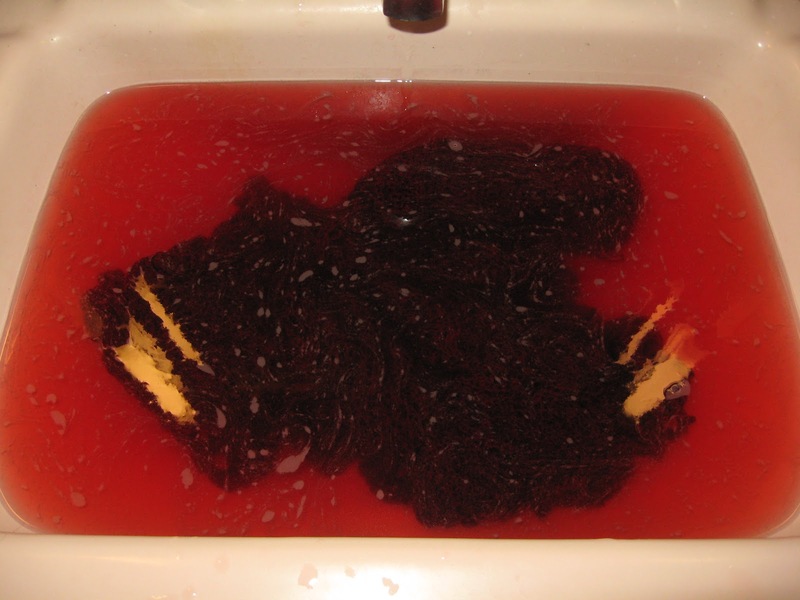 When I went to block, there was significant dye leakage. 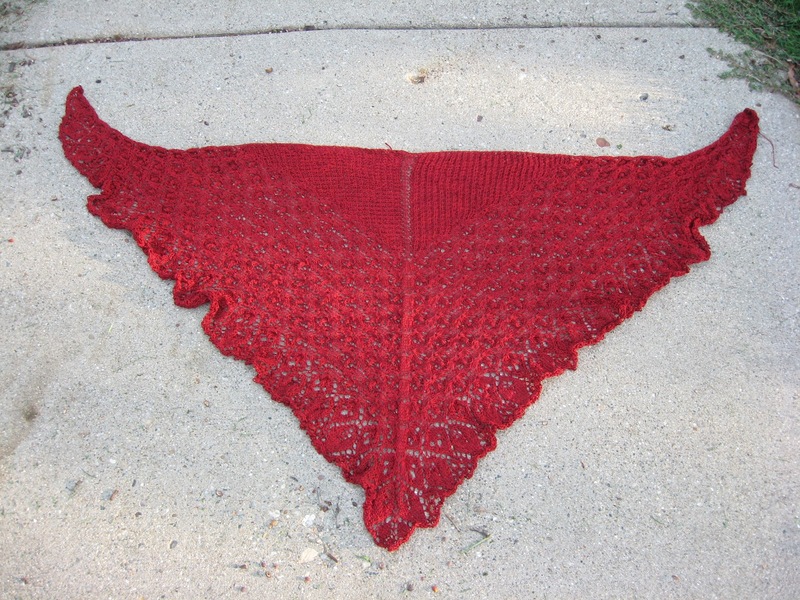 The color is fantastic, and the shawl is just as red however I would not advise washing it with any other items. 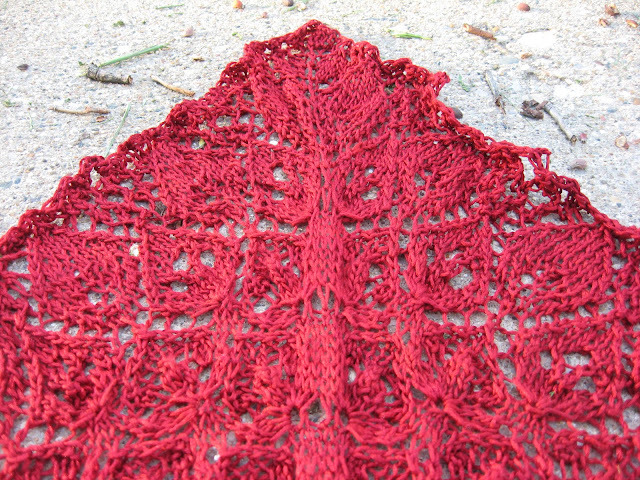 I decided not to do a straight top, but let it curve more faroese style. I still need to take beauty shots, but the blood queen is effectively done. 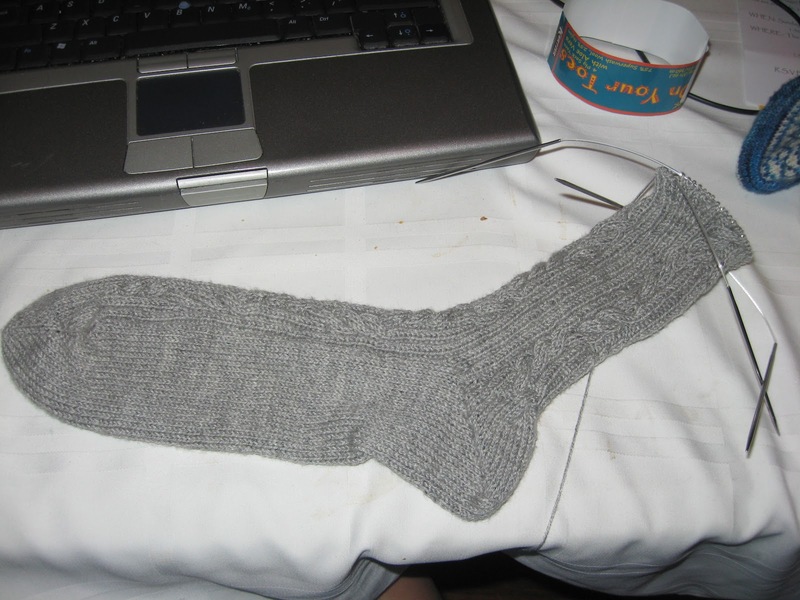 I knit quite a bit on RT's Silver Socks. I taught myself how to do the shadow wrap short row heel. 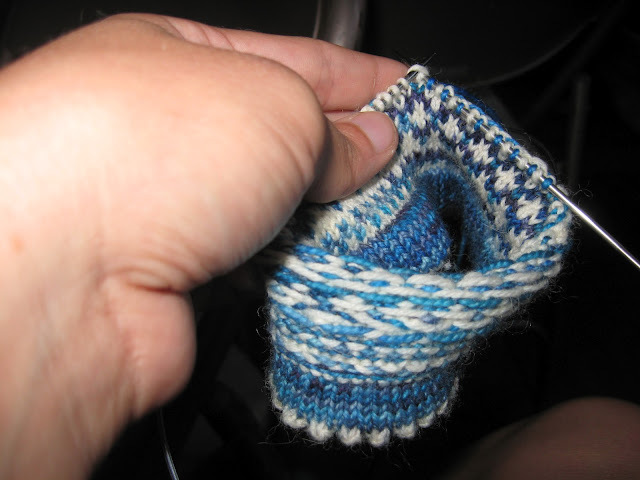 I failed a couple of times, and it turned out the instructions were under the car seat, but I did successfully knit it without holes! Likely the second sock will be started today. I started Butterflies are Free. I learned something very important this weekend. 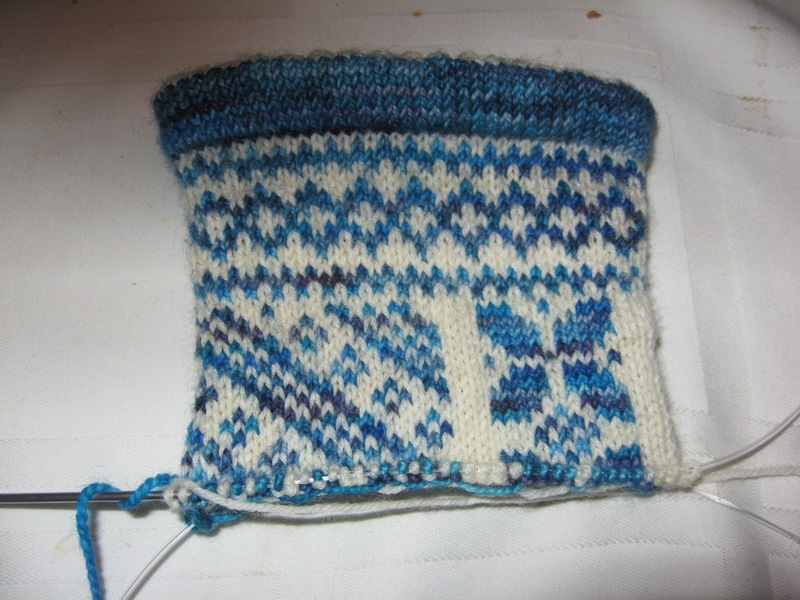 Swatching for the Bohus demonstrated that I might need to walk before I run. 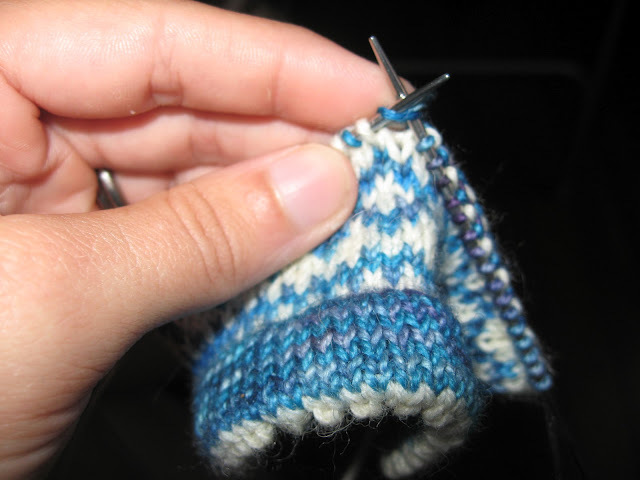 So before I start a 9 color stranded sweater, I might need to get some practice with some 2 color socks. The pattern is charming, I am getting a ton of practice knitting in the round with Fair Isle, and I am loving how it it turning out. The DSLO things it looks like old person stuff. 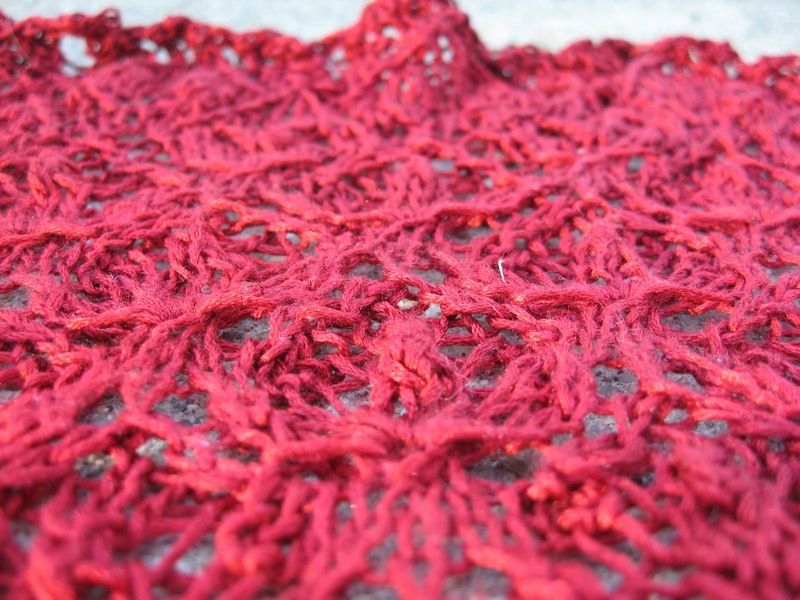 Inside out: held stitches in front of you, purls and floats on outside. Inside in: held stitches behind you, float and purls on inside. The trick to nice long floats is to knit inside out, because knitting outside in can have slightly shorter floats that you don't notice until you put the sock on. 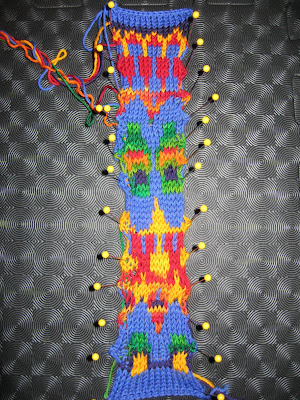 So the swatch is a little too far off the clown barf side of things. I need to reassess what colors I want to use. The red-orange-yellow multi actually had really poor contrast. I will need to sit and think about how to proceed. 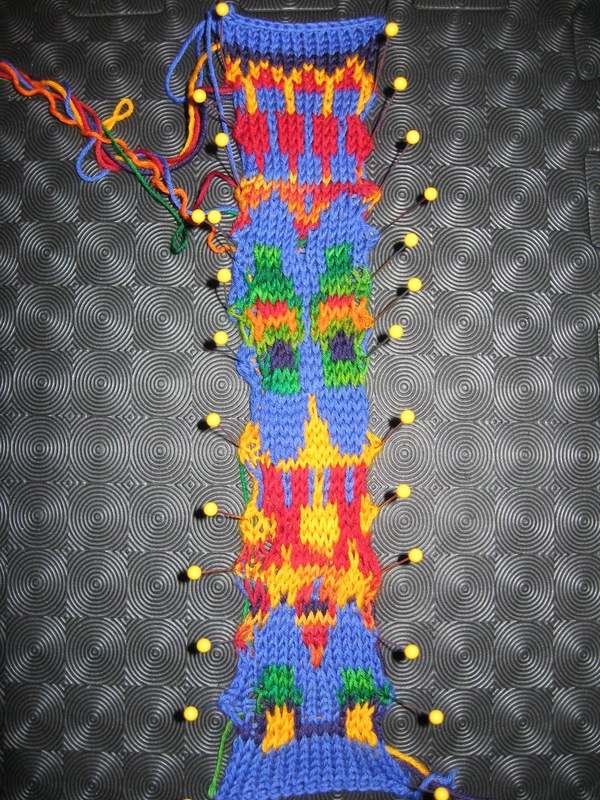 The easiest would be to make another virtual swatch and figure out what it would look like if my MC through the yoke was black (like the pattern). I also painted pottery Monday. It is easy to forget sometimes what a wonderful thing it is to tune out and be creative. If I screwed up I am down 20 bucks. 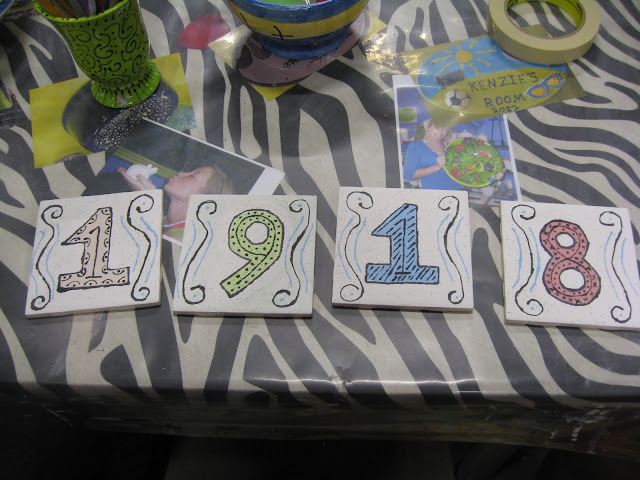 If I succeed I will have new house numbers. 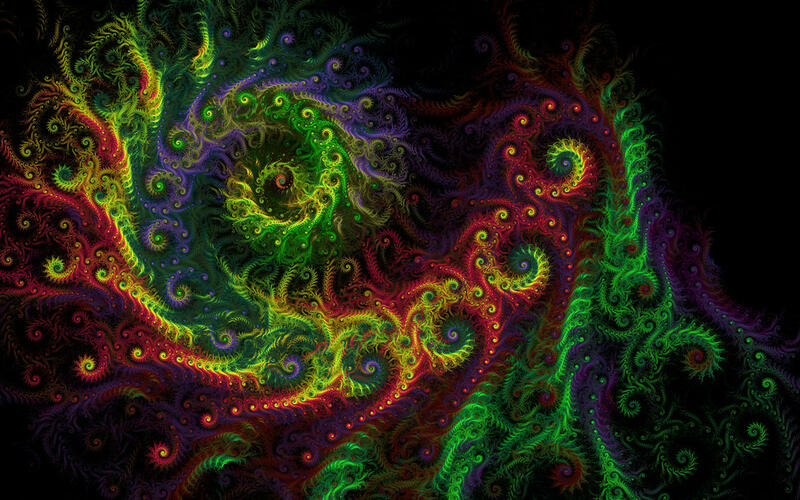 I also made a really cool fractal for the challenge. And I completely forget to enter it. It was the spherical + linear challenge. I would have never guessed that 2 transforms could produce such a rich fractal. Live and learn I guess. Ravellenics Days 13-14 + FO Friday!